Trigger actions within your Stateflow® chart or other Simulink® subsystems by using events. Trigger external actions by sending events to other charts in your Simulink model. 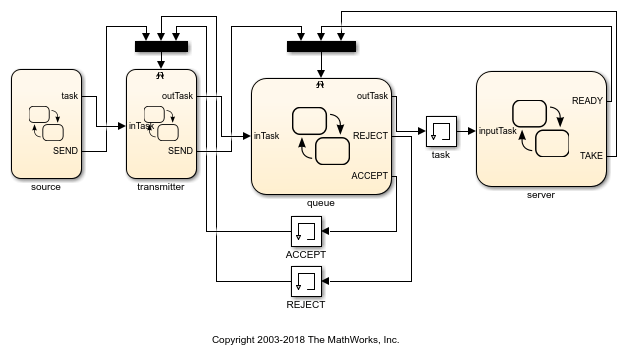 Use events to communicate with Simulink and MATLAB®. Detect and add undefined data, events, and messages. Specify event properties by using the Property Inspector or the Model Explorer. Broadcast edge triggers and function calls as input events. Set the behavior of states when a function-call input event reenables a chart. Broadcast edge triggers and function calls as output events. Bind a function-call output event to the activity of a state. 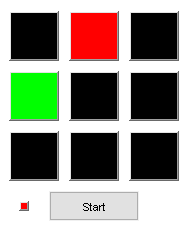 Communicate between parallel (AND) states by making directed event broadcasts. Trigger chart actions by changes in data values and state activity. View the interchange of messages, events, and functions through the Sequence Viewer block. 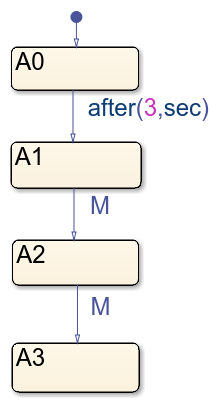 Compare the behavior of messages, events, and data in Stateflow charts. A variation of the classic tic-tac-toe game with an interesting twist. Only the last three moves of each player count. Thus the user needs to also account for the order in which the opponent has played the last few moves. This adds a nontrivial twist to the gameplay.